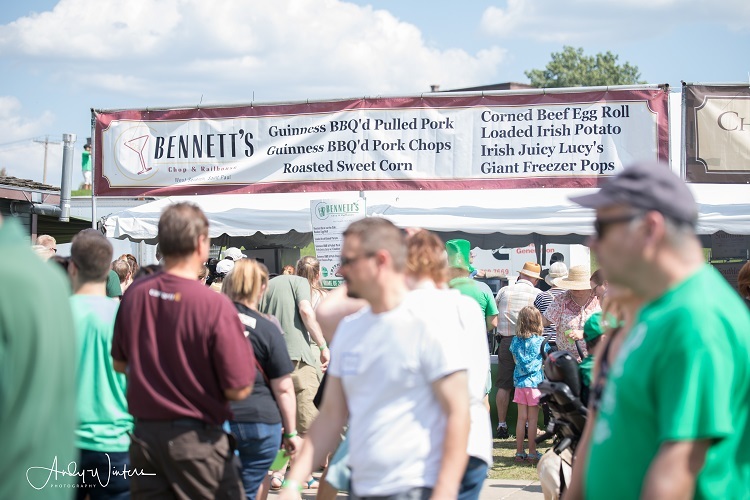 Twin Cities-based Irish Pubs sell traditional Irish food items in and local Irish nonprofits sell items such as lemonade and smoothies. Food is available as you enter through the gateway entrance to the left and the right. 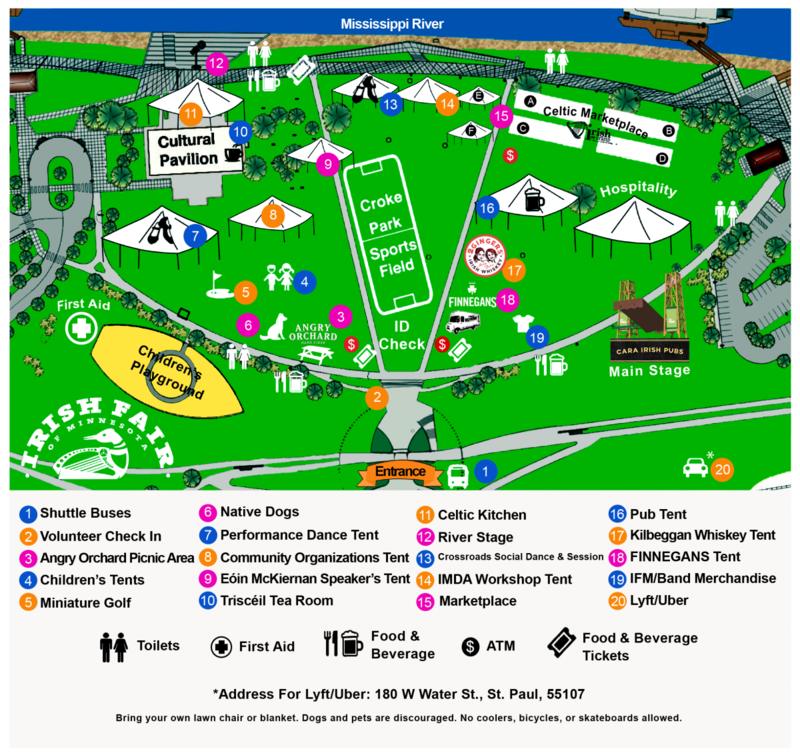 Beer, wine, pop and water are sold in four different locations: Food Court 1, Food Court 2, the Pub Tent, 2 Gingers Patio Porch, FINNEGANS tent, and a tap truck on the river-side of the pavilion. In order to drink alcohol, each adult over 21 years of age must present a valid driver’s license or ID and wear a wristband. Age verified wristbands are required. Wristbands are sold at ID check, and the ticket booths for $2.00. A wristband is not required for soda or water purchases. Alcohol sales will end 30 minutes prior to closing time each day.